The internet is an interesting media in many ways. 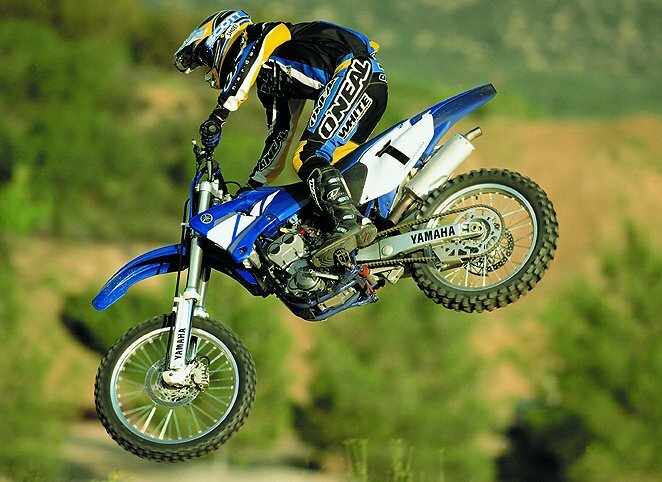 At least a dozen ride reviews of the 2001 Yamaha YZ250F appear on the net — virtually all of them written by customers, not journalists! I, personally, have not seen a negative review, with the general consensus being: (1) it feels lighter than a 250 — handles almost as well as a 125 two-stroke, (2) power (particularly torque) is significantly better than a 125cc two-stroke, (3) stock suspension is quite good, if not excellent, and (4) it is “so easy to ride” (I must have read this ten times, already). Stay tuned for our own in-depth review.